This feature film will open up the world of 3HO and Sikh Dharma, to share with everyone who is interested in consciousness and this dharmic way. Aquarian Legacy Productions is also creating the Nine Treasures Collection, explorations into the various aspects and teachings of Yogi Bhajan, the Siri Singh Sahib, and the Elevation to Infinity Series of short films centering on various teachers in the community. 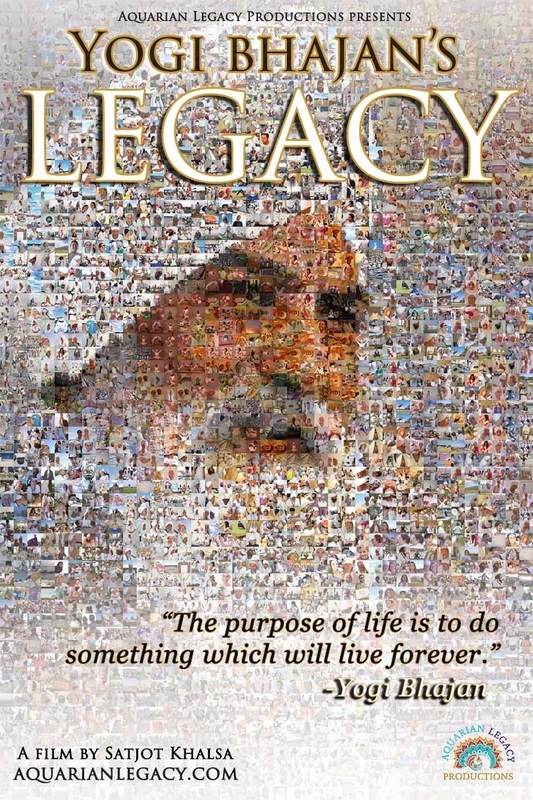 Yogi Bhajan's Legacy is being produced by Aquarian Legacy Productions, LLC. Through the backing of Double Exposure LLC, a highly regarded distribution company that has worked with over one thousand feature films, this documentary has guaranteed worldwide distribution (www.doubleexposuredistribution.com).